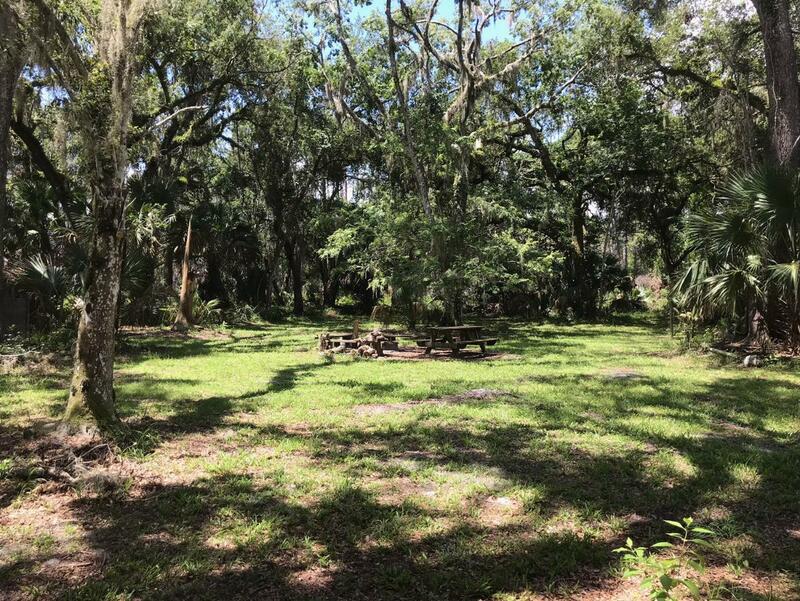 Campsite is secluded under large Live Oaks just off the swamp edge of Lake George. The Conservation Area's marked multi-use recreational trail system can be accessed directly from the campsite. Group campsite gate access is on Barrs Road, about 1 mile west of the intersection with Truck Trail 2 (Union Bag Trail). The intersection is 2 mniles north of County Road 305 (Lk. George Rd.) & about 2.5 miles west of Seville. This campsite has picnic table, fire ring, benches and pitcher pump. This site does not have restroom facilities, so please go prepared. Arrival time/ Check in time is 1 PM and check out time is 11 AM.